This is Mongo's World. You're just living in it. In my 25+ years as a creative professional, I've had hands-on, real-world experience leading nearly every discipline that falls under the UX umbrella. 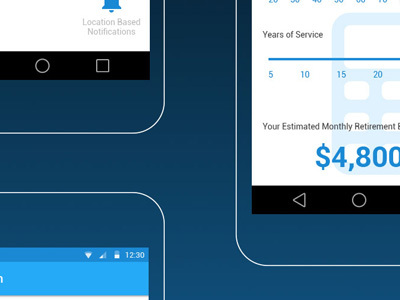 This includes UI Design, Interaction Design, Prototype Creation, Wireframes, Journey Mapping, User Testing, Persona Development and Product Management. 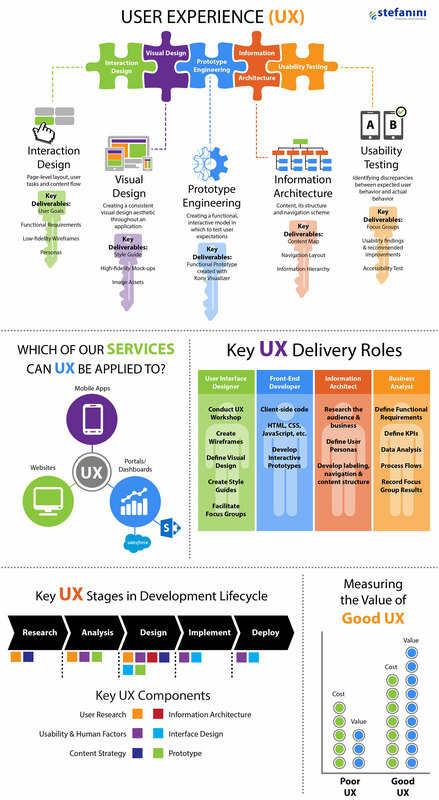 I've lead UX workshops during discovery phases and held user testing labs. I've lead marathon requirements gathering sessions while simultaneously sketching wireframes in front of dozens of stakeholders. While I have a great deal of natural artistic skill, I have honed my ability to listen to and empathize with the user. I've had formal training in Agile development methodologies and have practiced Scrum and extreme programming practices throughout most of my career. One of the traits I pride myself most in is that my clients trust and respect me. So much so, that many of them have become personal friends of mine long after my work engagement with them had come to an end. Early in my career, I co-owned Advanced Media Solutions, a digital agency specializing in Web Design, SEO and Social Media Marketing. During my time there, I served as Creative Director, but I also honed my skills in project and account management and sales. While I have spent the bulk of my career designing web and mobile applications, my artistic roots are grounded in print design and illustration. My college art education was spent learning to design with paint, markers, pencils and ink, but once I discovered digital design, I never looked back. Click here to view my resume. Thank you for stopping by! I am available for all types of freelance work, so if you like what you see, send me a note or give me a call and let's talk! "Mike's creative talents are well complemented by his business savvy. Mike used both strengths to resolve tough business problems that were legacy issues and were unresolved by his predecessors. Additionally, Mike has a strong focus on excellence in his work. When working with Mike, the job is done well, on time, and with very little stress. As team player, he is the guy 'you can always count on'." "Mike is a terrific designer. 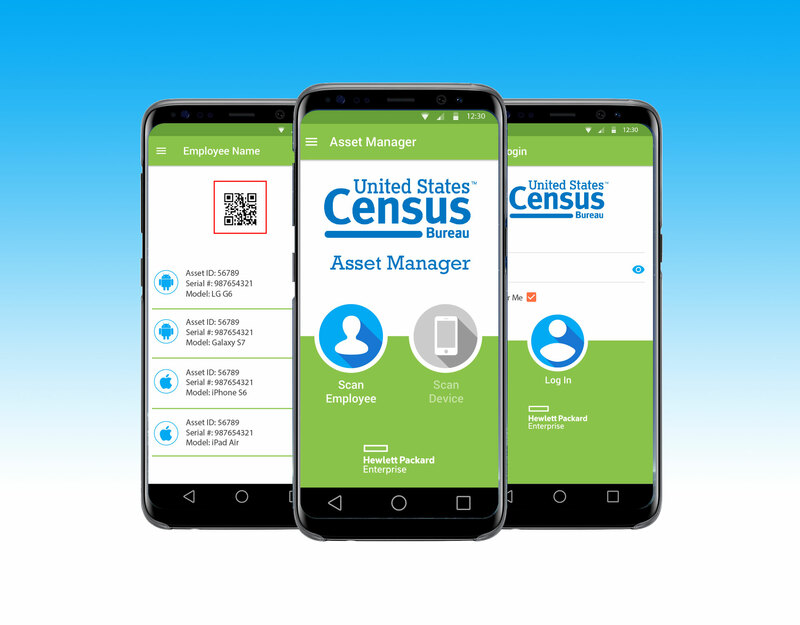 The clients we worked with loved his designs; Mike's attention to detail really makes the design stand out, and his creative ideas always seem to capture the concept the client is trying to convey. He always goes the extra mile to make sure the client is pleased, always listening to the client’s needs and responding appropriately. 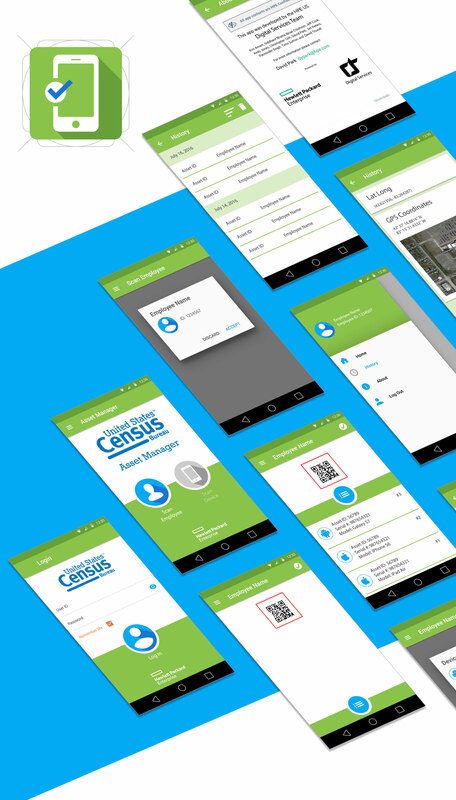 Mike did a great job creating designs we could incorporate into line-of-business web technologies, like content managed applications. I recommend Mike’s work without hesitation, and look forward to having an opportunity to work together again in the future." "In my long-standing business relationship with Mike, he has never ceased to amaze me with his creative ability, his professionalism and his attention to detail. As part owner of my own interactive media company, I have trusted Mike as my Creative Director on some of my largest and most important client accounts and he has never let me down. He has a way of making the client feel so comfortable and trusting, yet empowered at the same time. I would recommend Mike for any position requiring strong, creative leadership and look forward to a continued business relationship in the future." "I've had the pleasure of working with Mike multiple times over the years and really cannot say enough of his passion and ability. 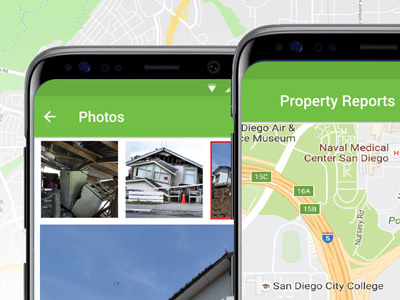 Whether commanding a room of executives during presentation or delivering yet another phenomenal user experience or design Mike is one of the best." "Mike has been a pleasure to work with. 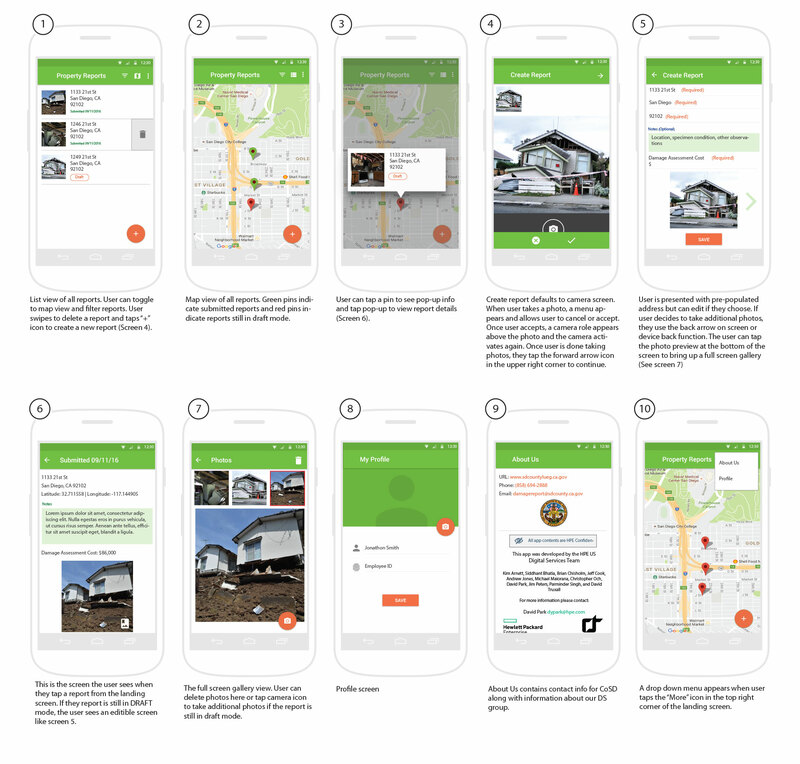 He has displayed a level of professionalism in both his work ethic and the quality of his design deliverables that have exceeded my expectations. I have recommended him to collegues and they have not been disappointed. I would welcome the chance to work with Mike again as his creativity knows no bounds as far as I can see and he is always reliable and team-focused." 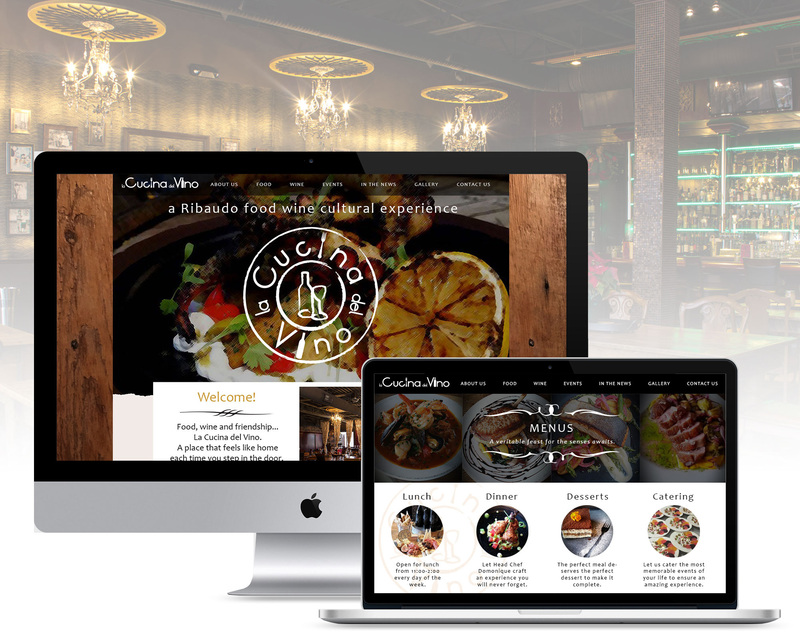 La Cucina del Vino, which translates to "The House of Wine", is a popular fine dining spot located in Shelby Township. 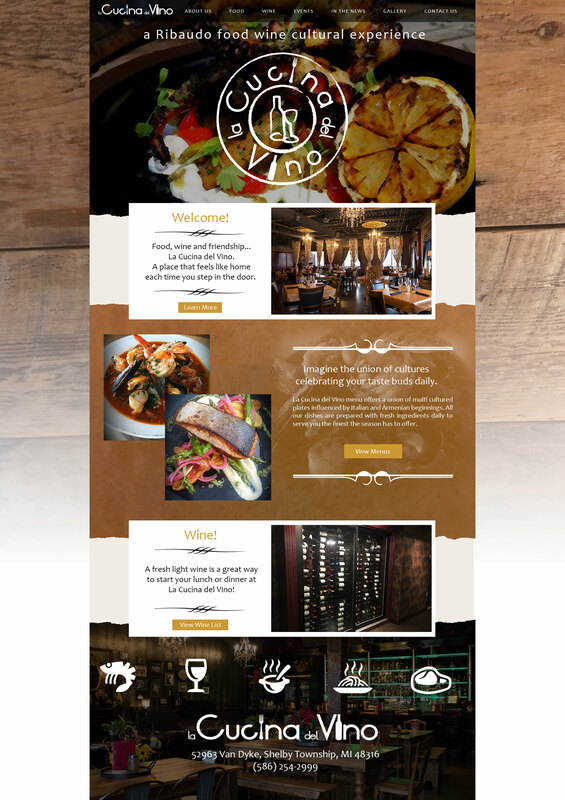 This is a proposal for a new, reponsive website design that highlights the restaurant's delicious wine and food options along with its beautiful dining room decor. During my time with Hewlett-Packard Enterprise, my team supported pre-sales efforts for the company's public sector customers. 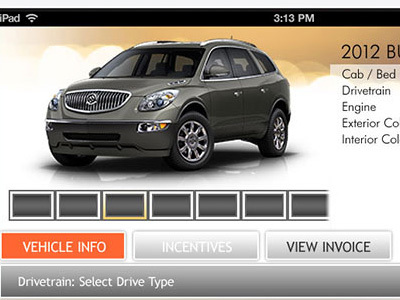 We would create actual working native apps that had just enough features to demonstrate a minimum viable product (MVP). This design allowed government agencies to track hardware that had been distributed to their employees. 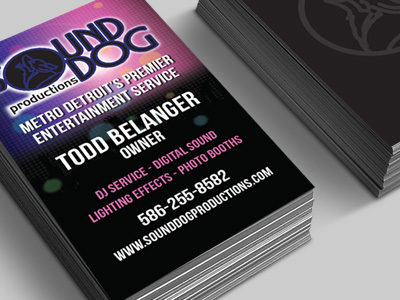 SoundDog Productions is one of the premier DJ services companies in the Detroit area. 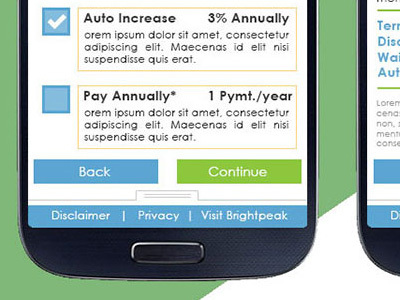 Since I completed a website design refresh back in 2015, I've created several designs for banners, business cards and magazine ads that carry over the new site's look and feel. 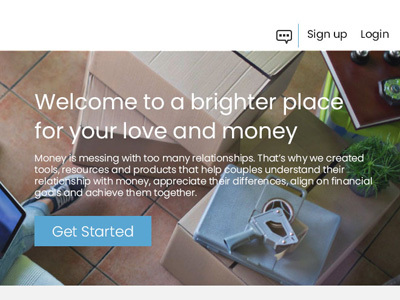 A division of Thrivent Financial, Brightpeak is a faith-based not-for-profit organization on a mission to help Christians grow stronger financially so that they can live with confidence and generosity. 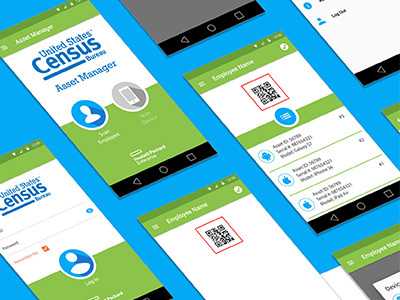 This case study details the UX Workshop I facilitated in their office in Minneapolis, and showcases the work that came out of that engagement. 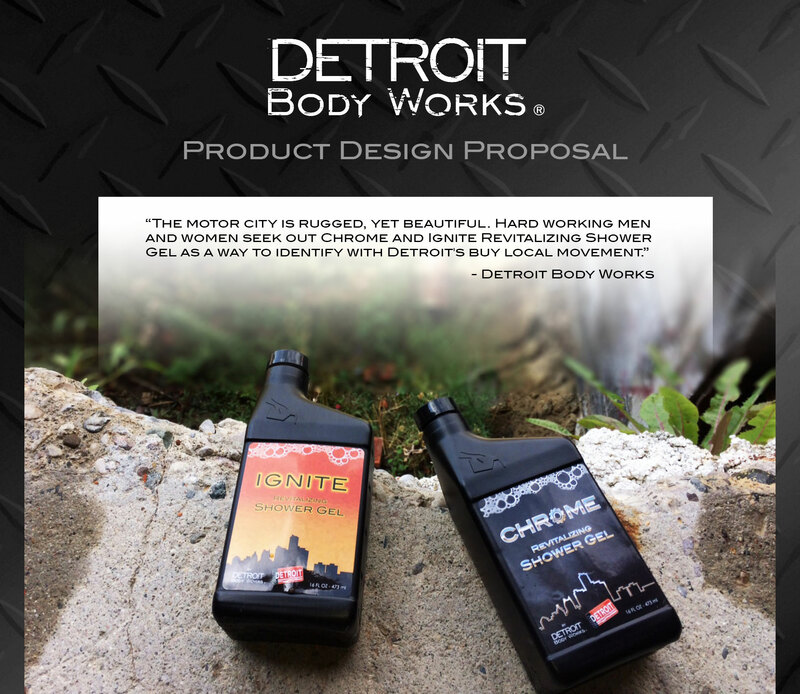 Detroit Body Works is a local company that creates and sells Detroit-themed products and apparel. They asked me to come up with the design for two different body soap package labels, each with its own distinctive identity. 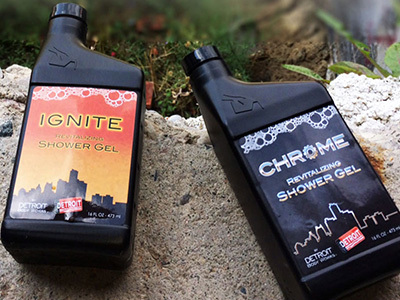 To "Drive home" the idea that this was a Motor City themed product, they chose a motor oil container to hold the liquid shower soap. 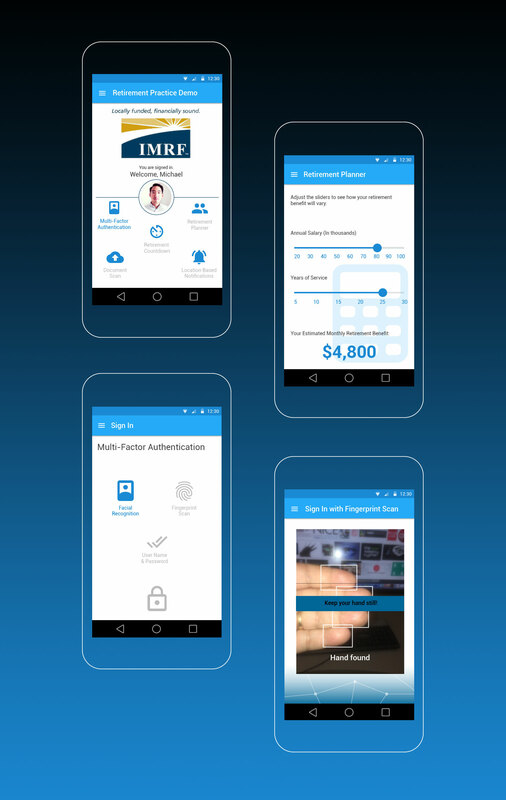 Created while I was with Hewlett-Packard Enterprise, the primary focus of this app design was to feature multiple ways to authenticate the user, including facial recognition and fingerprint scanning. 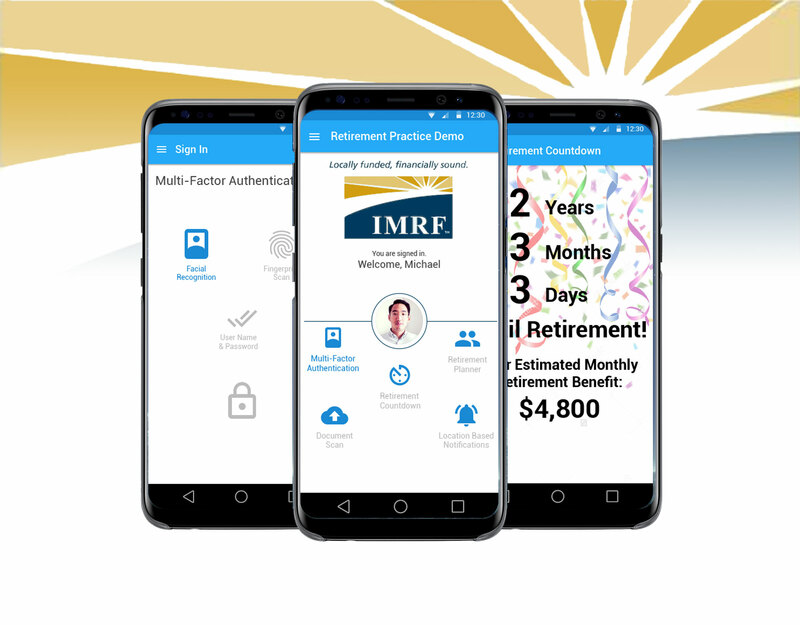 It also included a simple retirement planner feature. 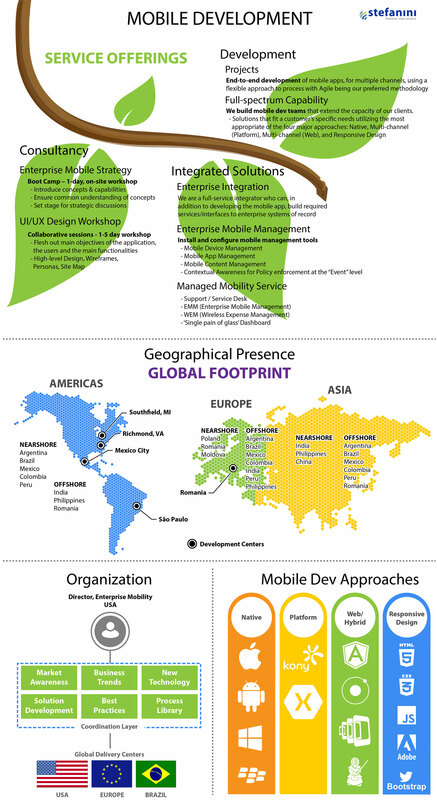 I created a series of infographics for Stefanini that highlighted the primary service offerings from the company's Mobility Practice. These were used as tools for Stefanini's sales team. During my time with Sogeti, I spent 30 months working within GM's Enterprise Mobility group. 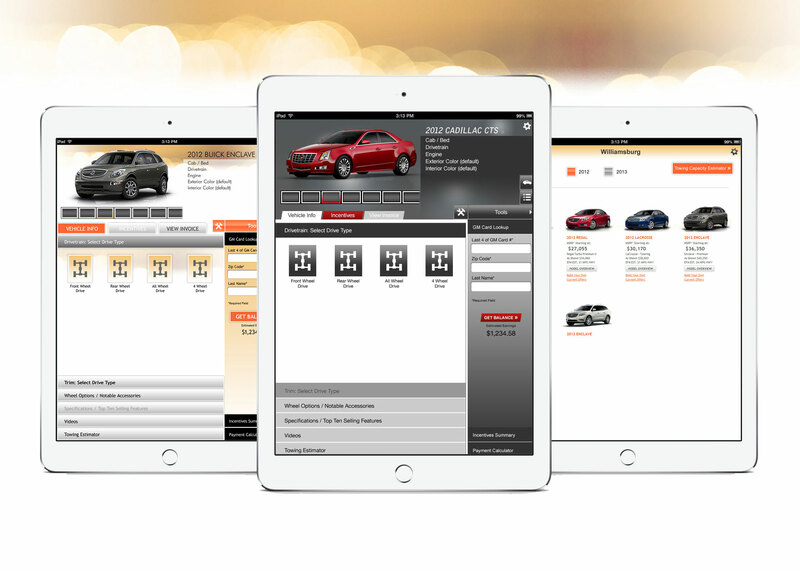 This app was a concept for dealers to aid them in presenting information about their vehicles to customers. I was given the framework for the design, and then had to apply different themes to respresent the various GM divisions. 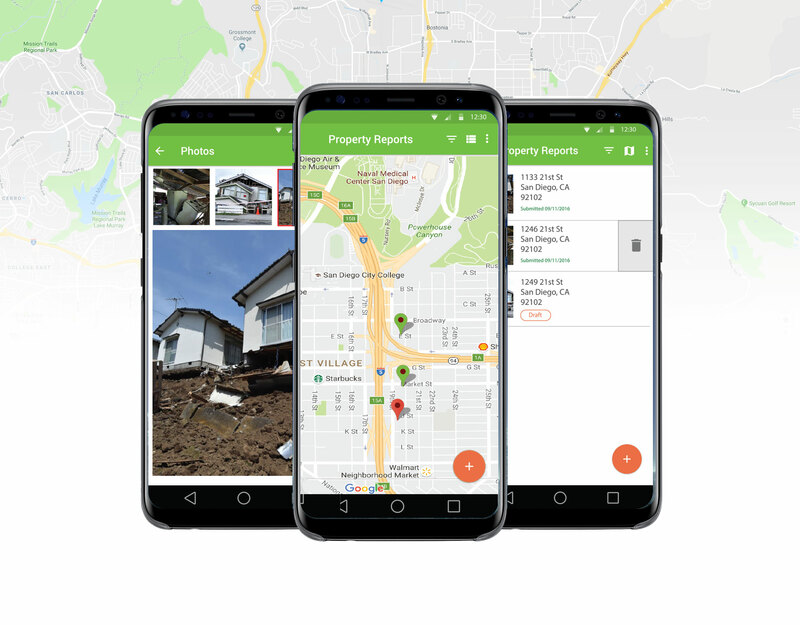 While working at Hewlett-Packard Enterprise, my team was tasked to create a working, limited feature app that would allow government agencies to record and submit damage assessment reports after earthquakes, fires, etc., complete with photos and specific GPS coordinates of the damaged property. 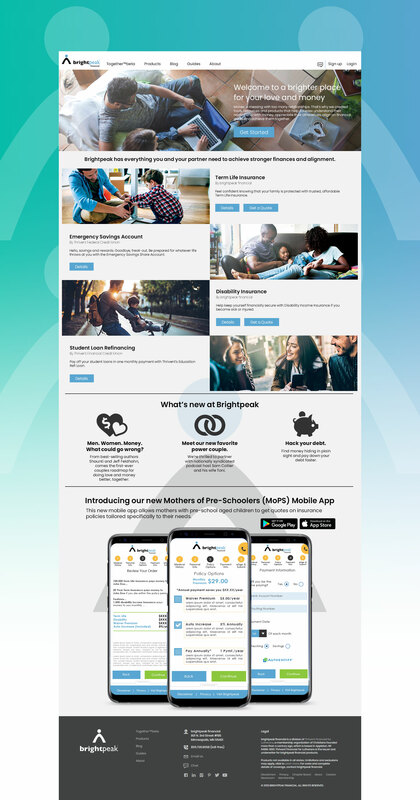 A division of Thrivent Financial, Brightpeak is a faith-based not-for-profit organization on a mission to help Christians grow stronger financially so that they can live with confidence and generosity. They were a past client of mine during my time with Stefanini. 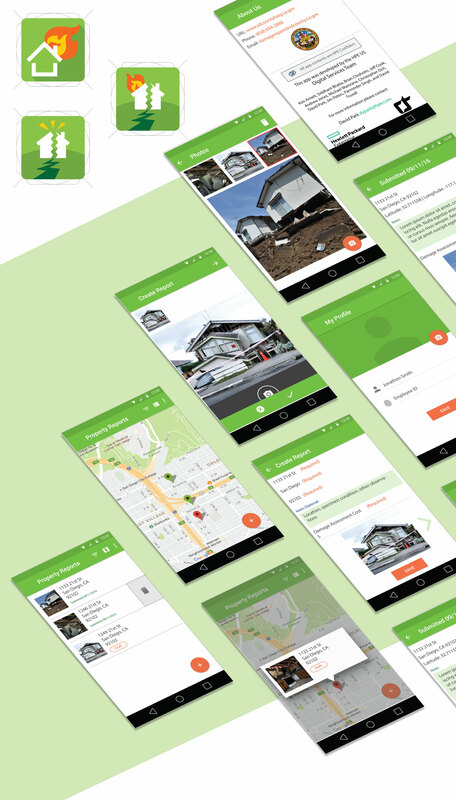 I created this mockup as a responsive design exercise for a possible WordPress theme. 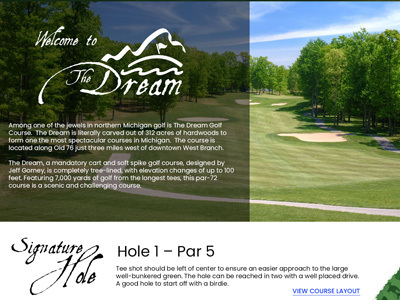 The Dream, located in West Branch, is one of northern Michigan's most popular golf destinations. I created this design proposal, along with much needed updates to their logo and their sister course's logo, The Nightmare. PromotionBeads.com provides custom Mardi Gras bead products for both personal events and business promotions. 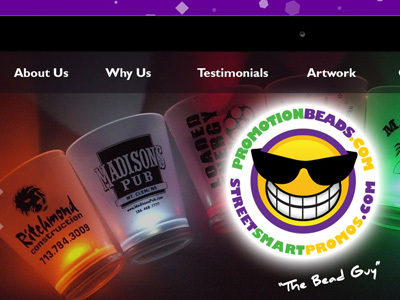 This design for a responsive website showcases one of their most popular products, the Personal Party Bead. 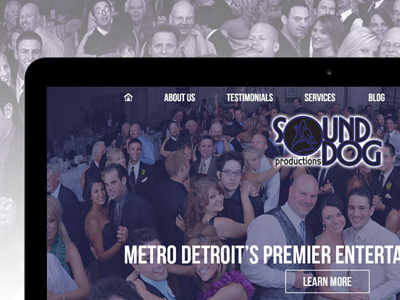 SoundDog Productions is one of the premier DJ services companies in the Detroit area. 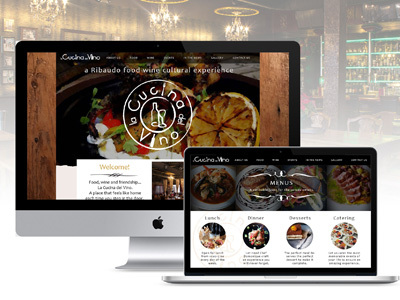 This responsive web design showcases the company's various services, including customized drapery, lighting effects and photo booths.